NUNM students have many opportunities to explore topics, research and areas of practice that interest them. From broad elective choices to research study participation and self study, our students choose the doctor they want to become. Here, Amelia Cohn, naturopathic doctoral student, shares her research and perspectives on healing bodies with heart centered awareness in clinical practice. Heart centered awareness is a space of consciousness and presence in the moment. It is where we can experience non-attachment, inner stillness, non-judgement, kindness, and appreciation. These states of being constitute a therapeutic presence that you can use either as a practitioner with your clients, or outside of a therapeutic relationship for your own personal transformation. Accessing heart centered awareness is simple and easy to do. An exercise to achieve this is found at the end of this paper. Why would we want to develop a therapeutic presence for ourselves or for our clients? Some diseases have roots beyond the physical and we must explore nonlinear methods to target those roots and to heal them. Adverse childhood experiences (ACEs) are events that happen during development which are “linked to every major chronic illness and social problem that the United States grapples with.” The growing body of evidence pointing to ACEs as key causative factors in disease is largely under recognized in clinical practice. Many people who are suffering from disease do not make the connection between their traumatic childhood experiences and their disease impacting them as adults, such as diabetes or obesity. If we are facing a disease that has been challenging to treat, it may require an examination of a different sort. We can be present in heart centered awareness and delicately uncover the root cause of illness. This root cause may include the beliefs, judgments, and points of view that form as pre-verbal conclusions during development when a child experiences something beyond their mental or emotional capacity to process. Just imagine the points of view a 4-year-old might develop about life, relationships, or herself if she is being abused on a regular basis. Will those points of view stick with her for the rest of her life? Absolutely, unless she actively uncovers and changes them. Are We Creating the Disease Patterns We Experience? How are diseases linked to childhood experiences? To me, it comes back to the points of view and conclusions we form during childhood experiences. Kelly McGonigal, a health psychologist, mentions in her TEDTalk how our point of view about stress will shape how stress impacts our body. In her opinion, if we have the point of view that stress is bad for us, then when we are stressed it will impact our body in a negative way. If our point of view about stress is healthy, then stress will have a positive impact on our body. Our point of view creates our reality. How many points of view about your body do you have that are creating the disease pattern you are experiencing? How do you access these points of view and how do you change them? The answer is in the question; being curious and staying present in heart centered awareness. In this space the points of view that are shaping our bodies and our lives can bubble to the surface with the questions we ask. The character strategies we use to cope with the stressors in our lives serve to protect us, but sometimes those points of view are no longer relevant to the lives we would prefer to be living. Or, they may be contributing to stagnant energy in our body that results in disease. 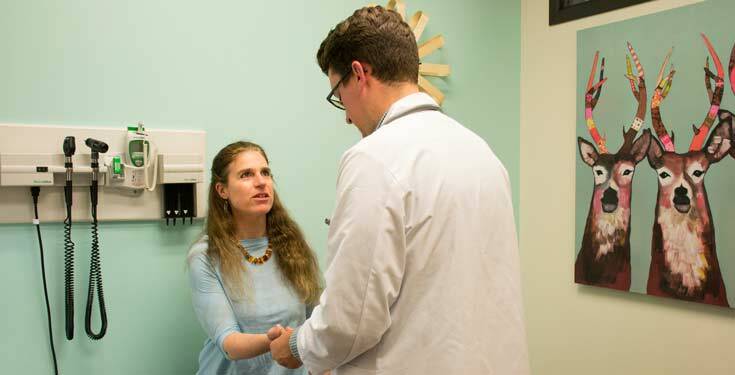 Dr. Paul Epstein, a doctor of naturopathic medicine in practice for over 30 years in Connecticut asks his patients, “How did you come to be this way? This question opens the door for a person to question how their life experiences and points of view have contributed to their current state of being and symptoms. This holistic approach to medicine acknowledges how our points of view and stories shape our bodies and health. Being curious about what our bodies are experiencing without going into judgement can give us the space to find the root of the issue and then to take appropriate action. Sometimes we can handle these points of view on our own, and other times we would be best served by seeking out a qualified practitioner to help us facilitate through unconscious blocks and patterns. Either way, the simplest and most effective tool to facilitate us through unconsciousness into consciousness is the question. I wonder what it would be like if…? What else is possible? When you operate that way, how old are you being? What is the value in choosing that? What point of view am I functioning from that is creating this symptom? These are just a few questions that can be of value when seeking to uncover points of view that may lead to disease patterns. In the Hakomi method, character strategies are mapped out according to developmental stages. In each stage of development, children have specific developmental needs and if these are not met, they miss out on experiences. These experiences will influence how we respond to life as adults. To shift our patterns of behavior and to give us more choice in how we respond to life, the experiences we did not have as children can be experienced as adults. This allow us to change our points of view about ourselves, our bodies, and our lives. These experiences will not be received at the level of the rational mind, because the points of view we created as children are not rational. We must experience and explore our points of view and missing experiences through heart centered awareness, where we can access the nonlinear, irrational, and unconscious patterns running our lives. By accessing and expanding our consciousness, we can reorganize how we think, and respond to stressors, people, and our own inner dialogue. All of which can have a profound impact on our bodies. The research into this level of medicine is not extensive and is found more in the realms of spirituality and quantum physics. The Heart Math Institute is researching how emotions impact our bodies, and a new wave of modalities called “consciousness technology” is tapping into our ability to impact physical reality. The more we can tap into the multiple levels of medicine available to us, the more healing we can facilitate. Ideally, as we realize the consequences of ignoring the mental and emotional health of generations of children, the more we can work to prevent the adverse childhood experiences that are silently eroding the health of millions of people around the world. Take three slow breaths, noticing the sounds of air into and out of your body. Note the sensations in your body, of your chest rising and falling. Close your eyes if that is comfortable for you. Imagine a library. You are standing in the center. Note the light in the room, the books all around you, the smell, and feel of the room. Notice how the room makes you feel in your body. Where is most of the sensation in your body while you are in your personal library? Now notice an elevator in front of you. Walk over to the elevator and push the down button. The door pings open and you enter. Keep breathing slowly, and just be aware of your chest rising and falling. The elevator doors close and it slowly moves down two stories. The doors ping open at the level of your heart. You leave the elevator and enter your heart space. Note the lighting in the room. Perhaps you can turn up the light if you would like more. Note the colors in the room, the sounds, how the space makes you feel. Also notice while you are in your heart space where most of sensation is in your body. You are now in heart centered awareness, a place where judgment does not exist, and you have access to all the events, memories, and points of view in this life. It is also the place where you can turn up gratitude and appreciation for yourself and your body. It is the space where you are not attached to the outcome of anything in this world because you can see with the eyes of consciousness, where all things are just an interesting point of view. From this space you can begin to ask questions about anything in your life. What do I feel I’m not getting? How does it get any better? What else is possible? What would it be like if I stopped choosing that? What is stopping me from? What is the value of choosing? Stevens JE. The Adverse Childhood Experiences Study — the largest, most important public health study you never heard of — began in an obesity clinic « ACEs Too High. https://acestoohigh.com/2012/10/03/the-adverse-childhood-experiences-study-the-largest-most-important-public-health-study-you-never-heard-of-began-in-an-obesity-clinic/. Accessed November 30, 2018. McGonigal K. Kelly McGonigal: How to make stress your friend | TED Talk. TEDGlobal. https://www.ted.com/talks/kelly_mcgonigal_how_to_make_stress_your_friend?language=en. Published 2013. Accessed November 30, 2018. Dr. Paul Epstein, Personal communication, 11/16/2018. Hakomi Method, Mindful, Somatic, Experiential Therapy | Hakomi Institute. http://hakomiinstitute.com/about/the-hakomi-method. Accessed November 30, 2018. HeartMath Institute. https://www.heartmath.org/. Accessed December 1, 2018.